Sonance makes the most popular outdoor speakers and SnapAV's SunBrite TV makes the top outdoor TVs among CE Pro 100 home-technology integrators. More CE Pro 100 home-technology integrators carry SunBrite TV and Sonance speakers than any other brand of outdoor audio and video. Among the highest-revenue home-technology integrators, Sonance and SnapAV's SunBrite TV are the most specified brands of outdoor audio and video. The category itself has surged as architects and builders design larger outdoor spaces for homeowners, and integrators seek to differentiate themselves from mass-market installers. Home-technology integrators saw 44% growth in outdoor installations for 2017, with the top line surging 40% in the category, according to CE Pro research. The median custom installation company performed 13 outdoor installations in 2017, up from nine in 2016. 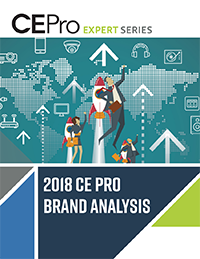 Check out all top brands among CE Pro 100 dealers in the 2018 Brand Analysis. Sonance from Dana Innovations remains the go-to manufacturer in the outdoor-audio category, while Episode from SnapAV is slowly chipping away, picking up four new dealers in the CE Pro 100. 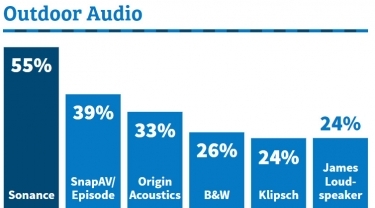 After surging into the top five in just three years, Origin Acoustics continues to improve its position in outdoor speakers. 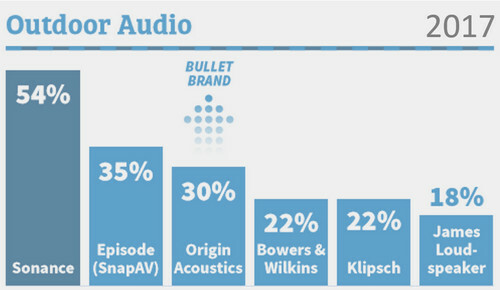 Check out this years top custom electronic brands across 58 product categories. SunBriteTV and Séura have both added to their CE Pro 100 dealer base for the past two years, while some integrators continue to install big-CE brands like Samsung and Sony in environmental outdoor enclosures. 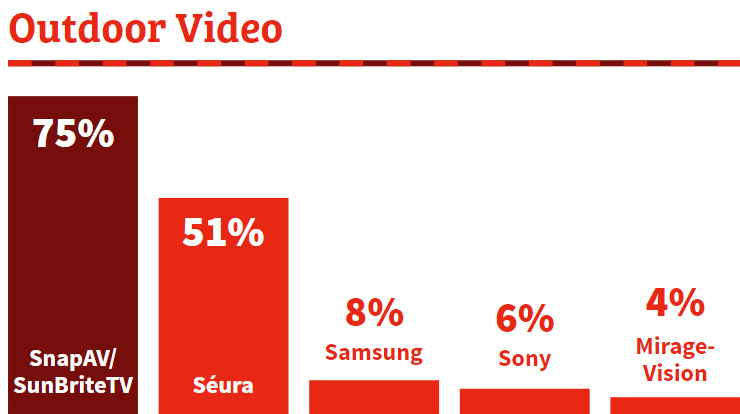 The emergence of Samsung and Sony, plus Peerless-AV and Planar just outside the top five may indicate more commercial work being done by home-technology integrators. It could also signal the use of larger commercial-oriented displays in residential applications.